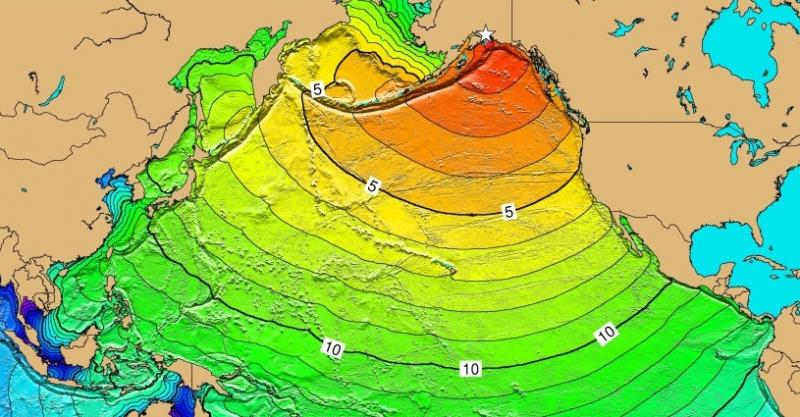 In March 2014, 50 years after the 1964 Alaska earthquake and Tsunami, Ocean Networks Canada organized a two-day technical workshop on Tsunami modeling. The workshop covered advanced modeling and prediction technologies for real-time Tsunami forecasting, detection and alerts. In this context, I presented the potential of the elbe solver for efficient and accurate simulations of wave impact and wave-structure interactions in complex three-dimensional topologies, which can be a valuable contribution to Tsunami warning systems in British Columbia. Further details and the workshop agenda can be found at ONC Tsunami Workshop 2014. This entry was posted in Conferences, elbe, Talks on April 2, 2014 by Powerkiter. This entry was posted in Conferences, elbe, Talks on September 27, 2013 by Powerkiter. Moreover, this year’s symposium on Fluid Mechanics is organized by Christian Janßen and Thomas Rung (symposium #12, GACM web page). 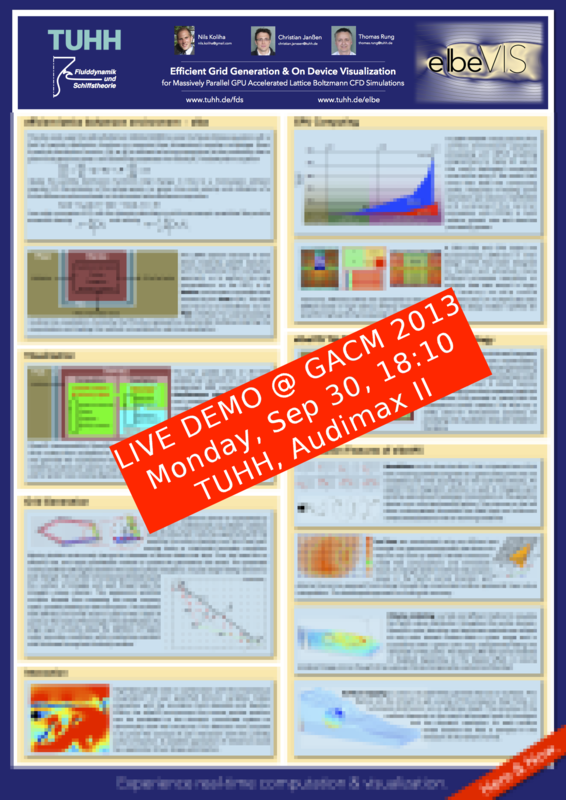 The symposium features 18 talks in four sessions on Hybrid Methods, the Lattice Boltzmann Method, Optimization, and FEM and ACM. It will take place on Tuesday and Wednesday from 10:30 to 12:10 and from 13:30 to 15:10 in building N, room 0.007 (campus map). This entry was posted in Conferences, elbe, Talks on September 23, 2013 by Powerkiter. Dept. Ocean Engineering, University of Rhode Island, USA. This entry was posted in Conferences on November 8, 2011 by Powerkiter.